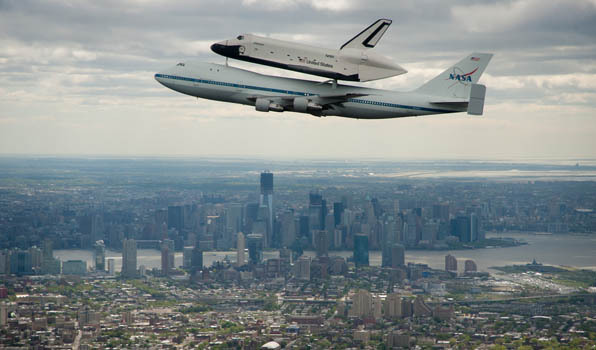 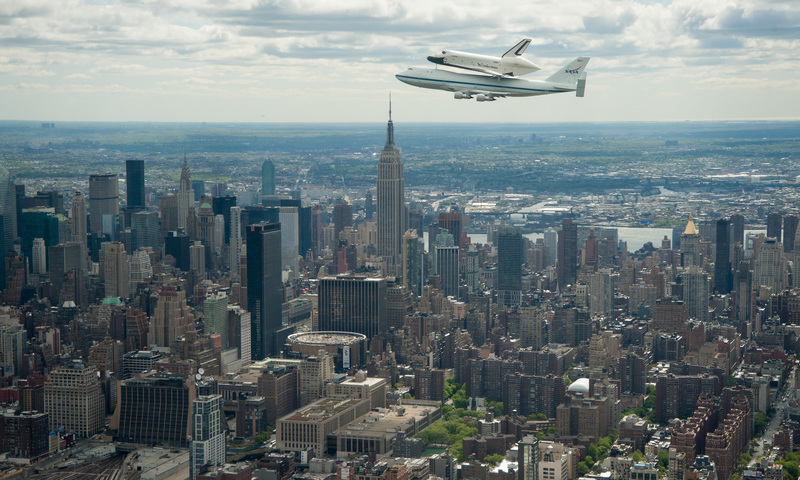 The awe-inspiring sight of seeing a space shuttle flying piggyback atop a modified Boeing 747 jumbo jet is made even more remarkable with these aerial photos taking alongside the duo during a flyover of New York City on Friday. 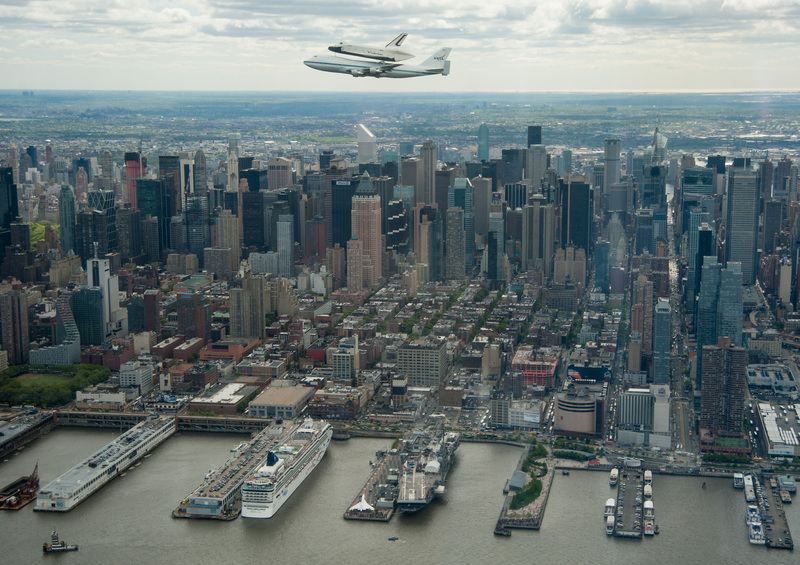 The Shuttle Carrier Aircraft was delivering Enterprise to the Big Apple where the prototype orbiter will go on display the Intrepid Sea, Air & Space Museum in June. 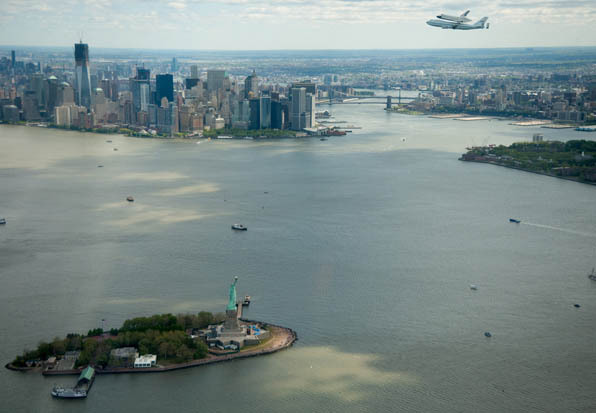 Among the landmarks in these photos is the Statue of Liberty, the Freedom Tower, Empire State Building and its future home at the Intrepid.